A rare and unique pepper, with a hot, woody fragrance. 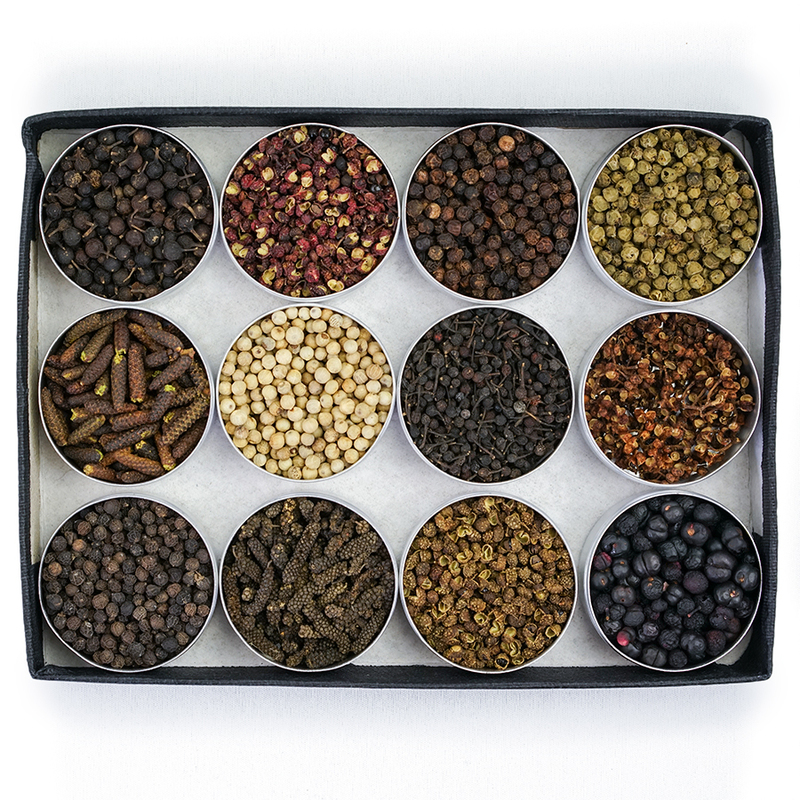 Voatsiperifery is a small, tailed pepper that comes from Madagascar. 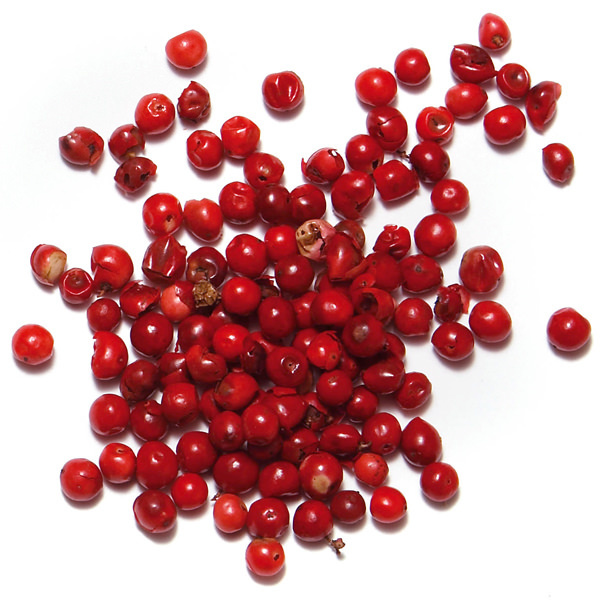 To make white pepper, the berries are harvested at full maturity, then soaked in water until they lose their outer layer. 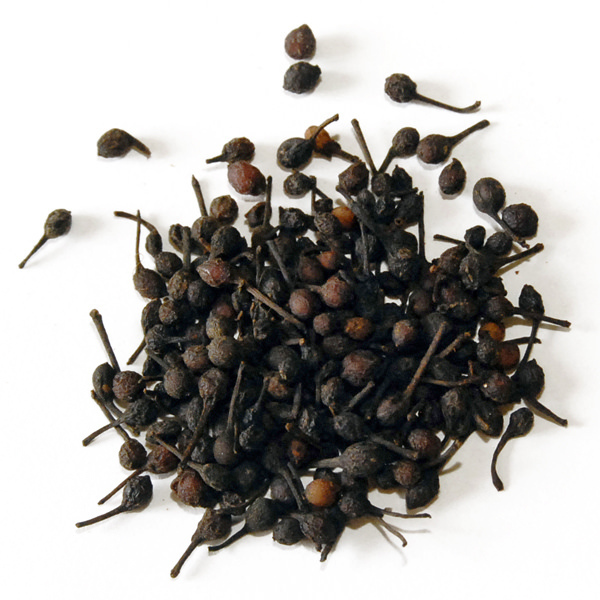 The small white berries develop a fruity aroma- more delicate and less camphorous than black Voatsiperifery- and lack the fermented notes that characterize certain white peppers. 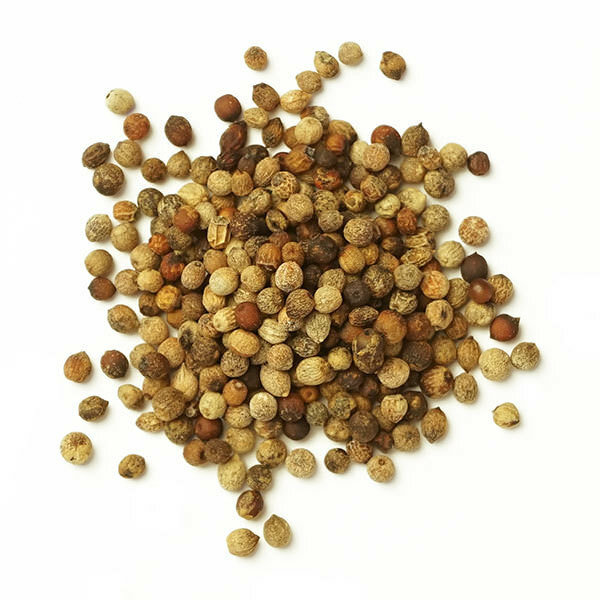 It can be used alone or blended with other peppers, in all kinds of dishes: meat, poultry, fish, or even with chocolate-based dishes.